Last week we announced Site Scan™, our end-to-end reality capture and analytics enterprise platform. This week, we’ll answer some of the top questions about that system. If you’ve got any questions that aren’t addressed here, feel free to drop them in the comments section at the bottom! I downloaded the app. When I open it, why can’t I use it? You need to purchase the Site Scan license to use the app. Buy it here. What is in the Site Scan package? There are three versions, depending on the solution you need. You can find them here. Can I buy Site Scan today? You can! Site Scan with GoPro® HERO® 4 Black is available for purchase today. When will Site Scan ship with the Sony® camera? Site Scan with the Sony camera is expected to ship in June. How much is Site Scan? Find pricing for the different packages here. Is it an annual fee? The Site Scan software license is billed annually. Will the app be available (and when) for other operating systems and tablets? Site Scan is certified for use with the 3DR™-provided Sony Xperia tablet. We’re currently exploring the certification of additional tablets and operating systems, but haven’t made any announcements. If you own a Solo®, can you upgrade to the Sony enterprise camera and gimbal w/out buying Site Scan software? 3DR is currently exploring the feasibility of offering the Sony enterprise camera for standalone use by existing Solo drone customers. Will the Sony camera work outside of Site Scan? At this time, the Sony enterprise camera is certified for use only with Site Scan. How is Site Scan licensed? Site Scan is licensed per Solo drone. Can you integrate GCPs to use with cloud-based image processing? Support for GCPs during processing will be available in summer 2016. Will Site Scan integrate with other cloud systems? The Site Scan application retains all imagery from all jobs flown, regardless of whether they’re processed in Autodesk®. Site Scan customers can easily integrate that data into other systems as well. We’ve not announced additional cloud endpoints, but we’re actively exploring the possibility. How is Site Scan better than 3DR’s earlier mapping system? 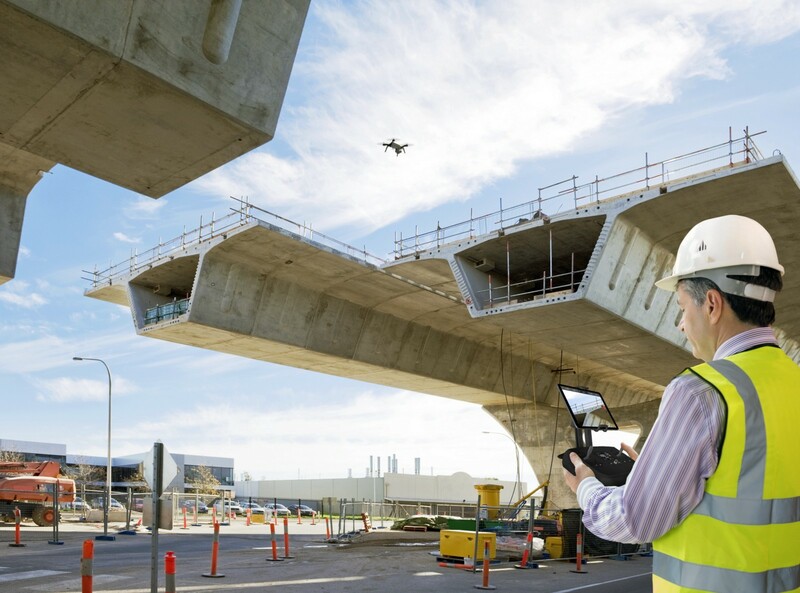 The Site Scan application is the first end-to-end application offering fully autonomous reality capture and seamless Autodesk cloud integration. How long does the whole process take: capture it (say, a 15 min flight at medium resolution), tag it, upload it, process it and import it? Depending upon the area mapped and the resolution requested, the round-trip time from flight to delivering processed work (2D maps or 3D models) is generally a couple hours. Can you preview your map/model (or at least photos) before uploading? Today the Site Scan application returns finished professional imaging products in 2D and 3D. The raw images can be viewed prior to processing, having a quick preview of the processed results may be a future option. Does this package require the Sony Xperia tablet? Yes; the app might work on other tablets, but we currently support only the Sony Xperia Z4. Is there a 30-day demo or are workshops & training provided prior to purchase? Can flights be planned ahead of time? The Site Scan application keeps a record of all flights performed (for time series analysis). The ability to plan jobs ahead and repeat them is a near-term enhancement request. Will a special pilot’s license be required? Today in the United States, commercial use requires a “section 333” exemption from the FAA. Additionally, the FAA has announced that the official rules are likely to be announced in Q2 of 2016, which will clarify regulations for accelerating commercial use. Can I do several jobs and geotag the images later? What are the output formats? How many jobs can I process at the same time? Can I change Solo’s speed for Scan or Survey modes? Speed has been optimized for each mode. What’s the maximum area I can survey in one flight? Max 80 acres / 32 hectares. What are the best environmental conditions for a Scan or Survey to be successful? Bright or overcast (no shadows); calm wind. Can I merge two jobs for large survey areas? What is the level of accuracy of the outputs? Do I need any other software to create a map or 3D model? Do I need to be connected to the internet to use Site Scan? No, but you do need to be connected to the internet to publish or process jobs. What are the recommended settings for the GoPro? The GoPro will set itself automatically and the user will not be able to adjust these settings. Can I get point cloud data from Site Scan’s output? Can I save Survey or Scan missions to repeat them later? Can I change Survey altitude? Can I use the Pause or Home buttons while executing a Survey or a Scan? We only support the Sony Xperia Z4. How do I save (cache) maps? Go into “Flight Tools”; click the Toolbox to exit the Flight Tools menu; select the Map view. Click the circular Download button on the right of the screen. My GoPro is freezing; why? The only compatible GoPro for Site Scan is the GoPro HERO4 Black, which is included in the Site Scan bundle.